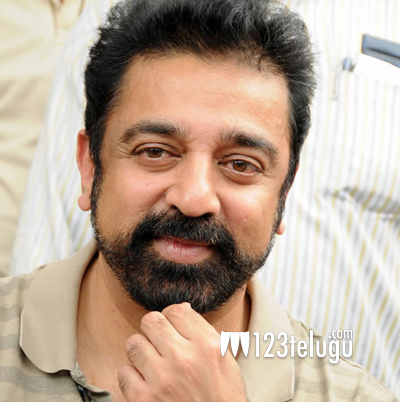 Kamal Haasan is the latest celebrity from tinsel town to embrace Twitter. He joined Twitter last night and thanked his friend and co-star Shekhar Kapur for inspiring him to create a Twitter profile. “@shekharkapur has inspired me to take up this platform. Would like to share my thoughts and engage in thought provoking discussions,” Kamal Haasan posted on Twitter. His twitter handle is @maiamkhassan. Currently, Kamal Haasan is busy with the post-production of his upcoming film Vishwaroopam 2. Till recently, the film was being shot in Bangkok’s airbase where an action sequence was being canned on the film’s lead cast. Pooja Kumar and Andrea Jeremiah are the lead actresses whereas Shekhar Kapur and Rahul Bose are going to reprise their roles. The film is expected to hit the screens in August and after that, Kamal Haasan will direct a film which will be produced by Lingusamy. Updated at 11:45 AM : Earlier this morning, several celebrities and fans of Kamal Haasan were thrilled that the actor has joined Twitter and people like S S Rajamouli, Harish Shankar, Nani and several others officially welcomed him on Twitter. However, Nikil Murugan, the official spokesperson of Kamal Haasan, clarified that the id was fake. “Dear All Kamal sir is not in twitter…the I’d..@maiamkhassan..is fake and pls don’t believe.legal action soon to the person who operates..,” Nikil Murugan posted on Twitter. Moments later, whoever was operating the account deleted the profile after taking everyone for a ride.